As the product development progressed, it became clear that for commercialization, more flexibility was needed. The system needed to hold multiple chips, but allow individual chip control so that one chip could be changed without affecting the others. The system needed to withstand pressures up to 10 bar and allow compatibility with Dolomite’s Pressure Pumps to ensure ultra smooth flow rates which enables production of highly monodisperse droplets. Modular scalability by increasing number of chips meant customers experimenting on small scale could now easily achieve high-throughout production. 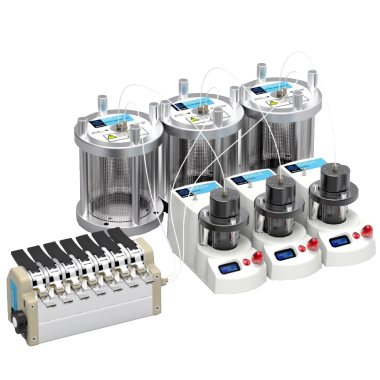 Since its launch, Telos® system has grown to be one of the best selling high-throughput droplet production systems.